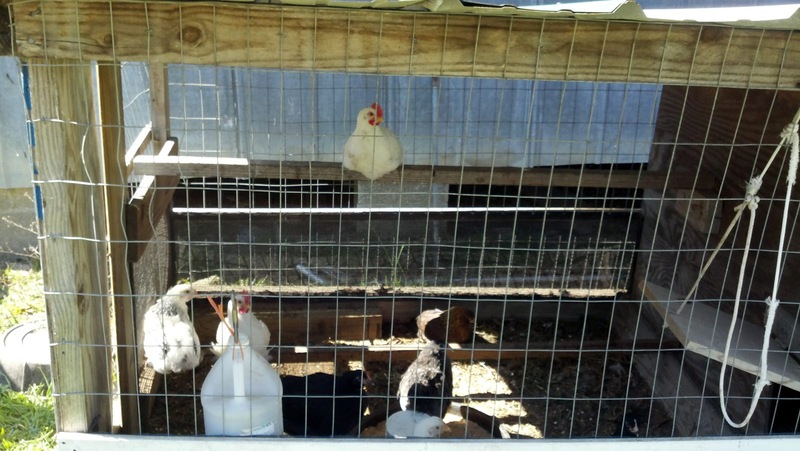 A week after transitioning the eight chicks from the indoor brooders to the small chicken pen outside, they have adapted and are doing well. 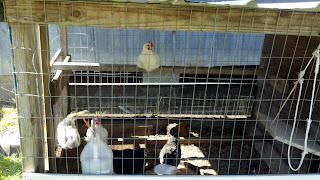 They have figured out the roosts and have also learned to go into the henhouse at dusk. So far of the eight, we still only know for sure that two are roosters. We are waiting patiently for any remaining roosters to reveal themselves.